Let us take the stress out of selling your home! Do you need to Sell Your House Fast in Fresno? Would a cash offer for your home within 24 hours help out your situation? At iBuyHousesFresno.com, we make selling your house easier and faster than ever! 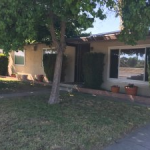 W e buy Fresno houses in ANY condition and location, and we can give you a GUARANTEED fair, all-cash offer for your home within 24 hours. Even if repairs are needed to sell your Fresno house, we’ll buy the house in its As-Is condition so you don’t have to worry about a thing! 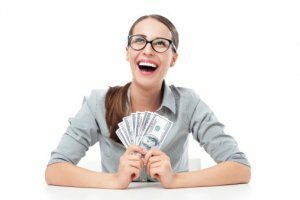 Plus, you will NOT pay any commissions, agents, or fees. You’ll just get a no hassle, no obligation offer for your property, a check in your hand in as little as five days, and the freedom to close at your convenience. We make selling your Fresno house a fast and easy process! Even as the real estate market continues to slowly get better, selling your home can still be a time consuming, money-draining, stressful process. Whether you’ve tried selling through a real estate agent or for sale By Owner, the traditional route is not always your best option. Often times, you have to deal with retail buyers who will tie up a home for weeks or even months, only to pull out of the deal at the last minute or have their bank loan fall through. And when you do finally sell your home, you end up paying your real estate agent a high fee. On top of it all, you will most likely have to make numerous, possibly costly repairs, and keep your home in pristine condition for who knows how long. All of that can add up to stress, loads of paperwork, and more of your hard-earned money being thrown down the drain. With iBuyHousesFresno.com, you can skip all of that and Sell Your Fresno House Fast For Cash! We bring relief to property owners just like you, dealing with situations similar to your own. From avoiding foreclosure, going through a divorce, dealing with the death of a family member, don’t know where to start in the Fresno probate process, or just unloading a property that has caused you countless headaches, we can help in all types of situations. And lastly, all of these people have been helped by iBuyHousesFresno.com! To sell your house now without all of the stress, high fees, and hassles, simply fill out the form above or call (559) 408-5977 to Sell Your Fresno House Fast.